Sofia Gubaidulina has found a soulfulness and freedom in the guitar which speaks to her musical language of expressive mood and often mysterious but precise sonorities. 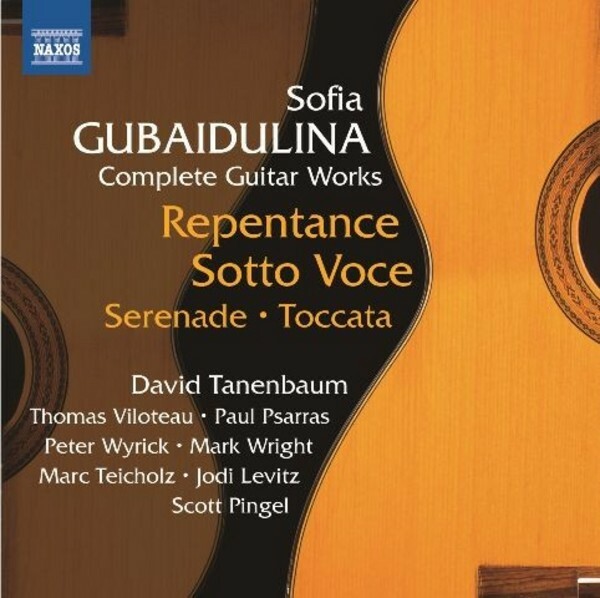 In both Repentance and Sotto Voce she combines guitars with lower stringed instruments, creating a virtuosic, multi-dimensional and deeply poetic role for each voice. Fascinating new sounds from the guitar are produced, from the most eloquent chorales to remarkable effects using a drinking glass. The earlier Serenade is �music for pleasure�, while this premi�re recording of the Toccata reveals a work with a driving momentum that hardly stops.